Seagate - ST118273LC SEAGATE - BARRACUDA 18.4GB 7200 RPM 80 PIN ULTRA160 SCSI HARD DISK DRIVE. ST118273LC IN STOCK. SAME DAY SHIP. Seagate - ST118202FC SEAGATE - CHEETAH 18.4GB 10000 RPM FIBER CHANNEL HARD DISK DRIVE. ST118202FC IN STOCK. SHIP SAME DAY. 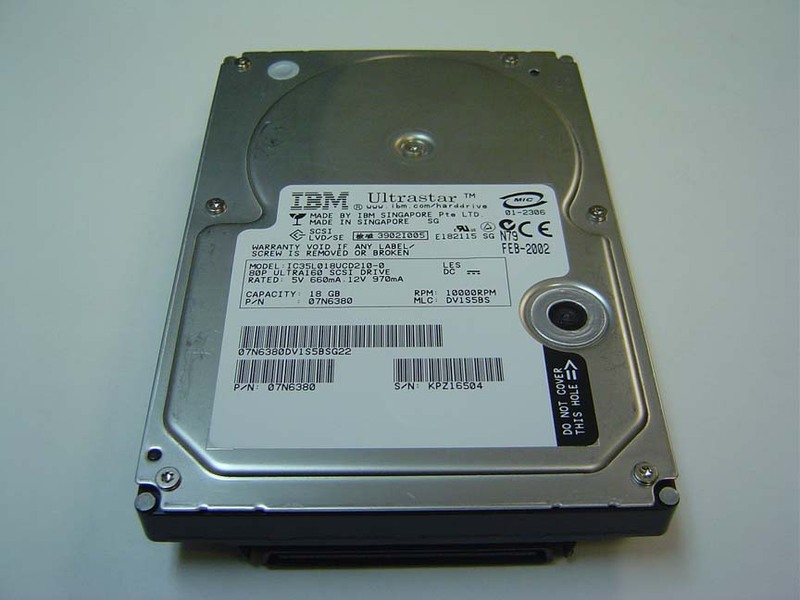 Quantum - TY18J461 QUANTUM - 18.4GB 10000RPM 80PIN ULTRA-160 SCSI 3.5inch HOT-PLUGGABLE HARD DRIVE (TY18J461). IN STOCK. SHIP SAME DAY. Seagate - ST318451LC SEAGATE - CHEETAH 18.4GB 15000 RPM 80 PIN ULTRA160 SCSI HARD DISK DRIVE. 4MB BUFFER 3.5inch LOW PROFILE(1.0inch). ST318451LC IN STOCK. SHIP SAME DAY. Seagate - ST318304FC SEAGATE - CHEETAH 18.4GB FIBER CHANNEL HARD DISK DRIVE. 10000 RPM 4MB BUFFER 3.5 INCH LOW PROFILE(1.0 INCH). REFURBISHED. ST318304FC IN STOCK. SHIP SAME DAY. Seagate - ST118273WC SEAGATE - BARRACUDA 18.4GB 7200 RPM 80 PIN ULTRA160 SCSI HARD DISK DRIVE. HOT PLUGGABLE. ST118273WC IN STOCK. SHIP SAME DAY. Seagate - ST318437LC SEAGATE - BARRACUDA 18.4GB 7200 RPM 80 PIN ULTRA160 SCSI HARD DISK DRIVE. 3.5 INCH LOW PROFILE(1.0 INCH). ST318437LC IN STOCK. SHIP SAME DAY. Seagate - ST318437LW SEAGATE - BARRACUDA 18.4GB 7200 RPM 68 PIN ULTRA 160 SCSI HARD DISK DRIVE. 3.5inch LOW PROFILE(1.0 INCH). ST318437LW IN STOCK. SHIP SAME DAY. Seagate - ST118273W SEAGATE - BARRACUDA 18.4 GB 7200 RPM 68 PIN ULTRA WIDE SCSI HARD DISK DRIVE. 3.5 INCH HALF HEIGHT(1.6 INCH). ST118273W IN STOCK. SHIP SAME DAY. 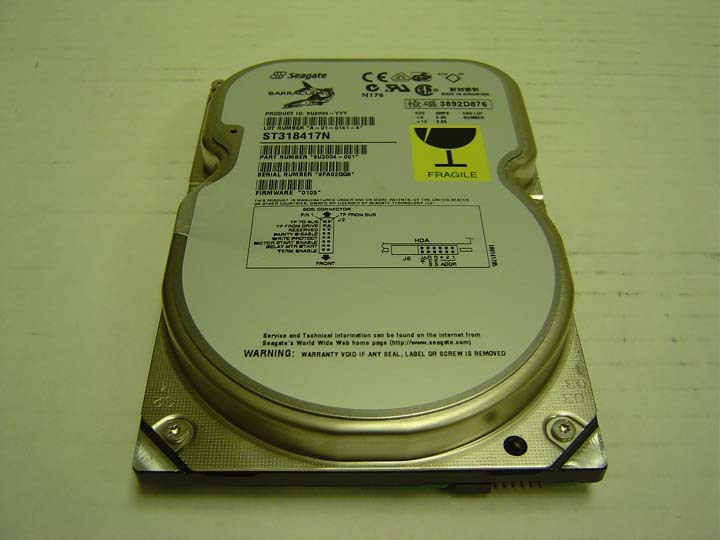 Seagate - ST318436LWV SEAGATE - BARRACUDA 18.4GB 7200 RPM 68 PIN ULTRA160 SCSI HARD DISK DRIVE. 4MB BUFFER 3.5inch LOW PROFILE(1.0inch). ST318436LWV IN STOCK. SHIP SAME DAY. Seagate - ST318417N SEAGATE - BARRACUDA 18.4GB 7200 RPM ULTRA SCSI HARD DISK DRIVE. 2MB BUFFER 3.5 INCH LOW PROFILE(1.0 INCH). ST318417N IN STOCK. SHIP SAME DAY. 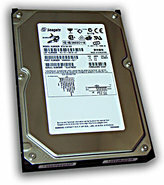 Seagate - ST318418N SEAGATE - BARRACUDA 18.4GB 7200 RPM 50 PIN NARROW FAST SCSI HARD DISK DRIVE. 3.5 INCH 2 MB BUFFER LOW PROFILE(1.0 INCH)(ST318418N). IN STOCK. SHIP SAME DAY. Seagate - ST318432LC SEAGATE - CHEETAH 18.4GB 15000 RPM ULTRA320 80 PIN SCSI HARD DISK DRIVE. 3.5inch LOW PORFILE(1.0 INCH). ST318432LC IN STOCK. SAME DAY SHIPPING.